A bold looking pendant from the most skilled bead makers in Venice. 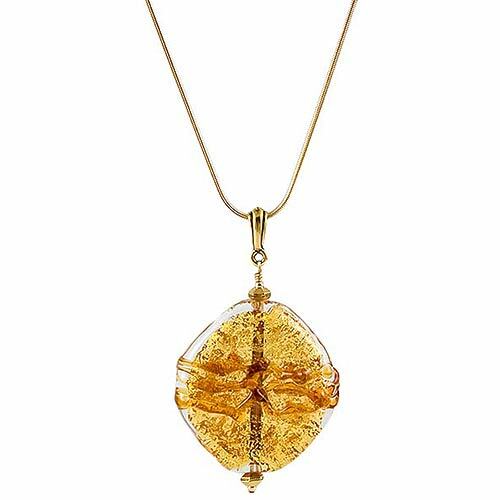 Rich in design and texture, this pendant is approximately 2 1/4 inches in length and is accented with 24kt gold foil under clear glass with piped accents. Color shown: Topaz and gold with dark topaz glass accents.